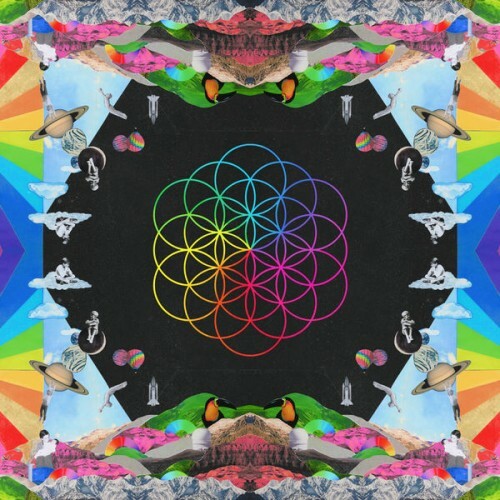 A Head Full of Dreams ... might be Coldplay's brightest album ever – an eagle's-wings whoosh of soaring melodies, happy dance beats and Martin at his most wide-eyed. If ‘A Head Full of Dreams’ really is to be Coldplay’s last hurrah, then they’ve gone out with a flashbang of colour and catharsis. On the band's seventh album, A Head Full of Dreams, Chris Martin and ­company nervously creep onto the ­dancefloor, like boys at a junior high school prom, ­determined to unleash the boogie, white man's overbite be damned. Under the stewardship of Chris Martin, Coldplay cheerfully embrace the cheese, ratcheting up both the sparkle and the sentiment so the album feels genuine in its embrace of eternal middle-aged clichés. The album doesn’t always work, but more often than not it sounds enough like vintage Coldplay to satisfy both diehards and casual listeners. A Head Full of Dreams might have been a poptimist masterpiece. Instead, it's just another Coldplay album, with all the baggage — both positive and negative — that entails. Martin’s inability to write in anything other than cliches and generalisations feels like a small mercy rather than a black mark. If there’s a wavelength on which Head is particularly powerful, though, it’s not easily apparent — it plays more like an unenthused rediscovery of past prizes than an album with its own specific code to be unlocked. The majority of the track list is made up of songs that run far too long, have beyond cringe worthy concepts and lyrics or simply sound too unoriginal to stand out from the others. Martin puts on the confetti-spewing Technicolor dreamcoat he discarded for 2014’s downer Ghost Stories and returns on the band’s 7th studio release with a rejuvenated spirit. There’s nothing particularly new or original about it, but its uplifting, soaring nature will melt all but the most cynical of hearts. For all the record's eclecticism, Coldplay remain a band that put the "us" in "obvious," blowing up the simplest sentiments for maximum appeal. So despite leading with a song called “Adventure of a Lifetime”, Dreams gives us none of that: no real risk, no real adventure, and surprisingly little fun or catharsis. It’s clear that the group are in a kind of creative stasis, eager to attempt new ideas but afraid to ultimately break with the past. A Head Full of Dreams ... sounds like a well-studied, rigid, demographic-conscious impression of Coldplay, empty as a consequence. A Head Full of Dreams is insufferably bland at best and downright offensive at worst. Nowhere near as well written as there previous work like 'Parachutes' or 'A Rush of Blood to the Head', they go in a much poppier direction and I've always felt Coldplay really shine through there more mature material personally, so this album really didn't impress me. Since Mylo Xyloto Coldplay has fallen further into the depths of the contemporary radio soft rock world which they became pioneers of. 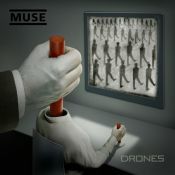 However, unlike on their best songs, there is no trace of a graciously echoic piano ("Clocks"), or wondrous sonic explosion ("Charlie Brown"). On A Head Full Of Dreams, everything is chiseled down to plain, melodic pop-rock that's never enough for Coldplay to separate their current selves from the worst of Coldplay's past. There’s nothing particularly new or original about "A Head Full of Dreams". Purchasing A Head Full of Dreams from Amazon helps support Album of the Year. Or consider a donation?